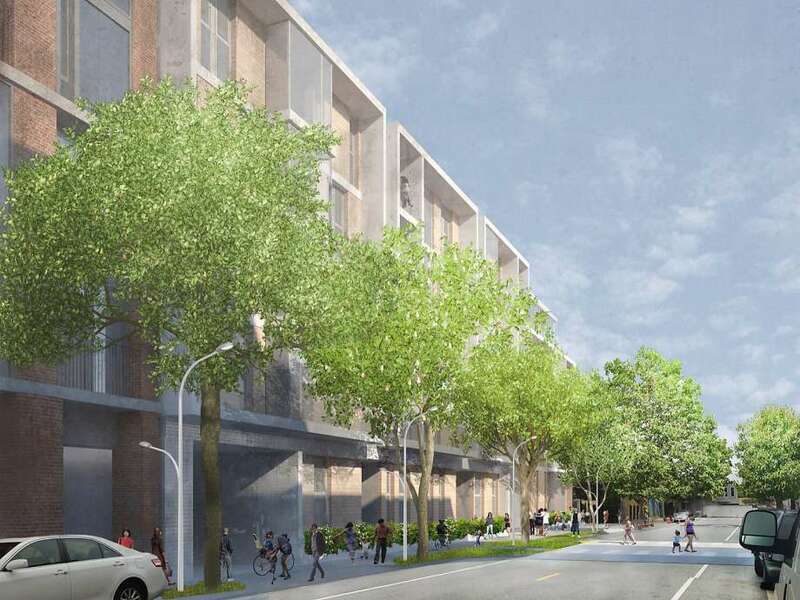 The developer behind a long-stalled mixed-use apartment complex above the 16th Street BART Station in the Mission District has a new plan, but so far it is being met with the same staunch opposition as previous iterations. Maximus Real Estate Partners, which owns the 57,000-square-foot site at the southeast corner of 16th and Mission streets, has filed a revised design that calls for two 10-story market-rate buildings — one on Mission Street and one on 16th Street — totaling 285 units, as well as 46 affordable units arranged in a row of five-story townhomes along Capp Street. The affordable units would be given to the city, and the rents spun off from that building, roughly $1.15 million a year, could be used to help subsidize rents in other nearby buildings in the rapidly gentrifying area. The 163-unit mid-rise on Mission Street would be moved back 15 feet to expand the usable space on the BART plaza by 40 percent. The three buildings would each have a district architectural style — one green tile, one red brick and one wood — to break up the massing and better fit into the character of surrounding buildings, project architect Leo Chow said. Identifying lucrative value-add multifamily opportunities as the cycle leng... Is Silicon Valley going to change the way we build CRE?